Artful pages from old gardening magazines make the ultimate ecological gift wrap – and very pretty, especially when torn out of the venerable “Gardens Illustrated” (my favorite for reading – and wrapping). The best gardening gifts of all are simple things that are useful, well-made and pleasurable to use. With the holiday season now upon us, I offer my list of handy tools and inspiration that gardeners at any level of expertise can appreciate. Disclaimer: I’m not being paid or otherwise recompensed to tout any of these products. However, I did receive a Dramm revolver style hose end sprayer as a manufacturer’s sample in 2008. And thank Dog, since it turns out to be a vast improvement over the cheap plastic gizmos I was using. Thus – needless to say – my recommendation. 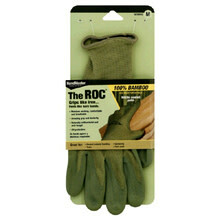 While nitrile gloves are not particularly "green," they are indispensable items in a gardener’s tool bucket. Leather and canvas gloves may technically last longer but they are simply too thick and clumsy for detail work. Nitrile and fabric gloves are thin and flexible enough while still offering protection and last 4-6 months with daily use. My current favorites are made by Hand Master of bamboo fiber and nitrile. The fabric is lusciously soft and the gloves come in a happy array of colors. There’s nothing quite like pulling on a clean, new pair of gloves and digging in to a project. Oh yes, and they’re washable of course. $6.99 at Garden Fever. Felcos are the ne plus ultra of the bypass pruners (well, unless you can fork out hundreds for hand-made English tools). Felcos have much to recommend them: comfortable, bright red handles (hard to lose), many styles for different hand sizes and shapes, and the parts are replaceable. Local nurseries carry a selection of models, including for people with small hands. The cost runs about $20-65 a pair at local nurseries or order them directly on line at felcostore.com. For years, I used the plastic trigger sprayer that came with the hose when I bought my house. Several of the nozzle settings didn’t work and it leaked. Apparently, I hadn’t suffered enough, for I replaced it a few years ago with another cheap plastic trigger sprayer which not just leaked but viciously squirted. Again, frustration. Learn from my mistakes – and make a gardener happy – by giving a high-quality, brightly colored revolver hose end sprayer ($12.50). It makes watering a pleasurable activity instead of drudgery. Check out the color options and different models here and buy it from a local nursery like Portland Nursery or Cornell Farms. I possess a small stable of hand-weeding tools and I carry them all with me in my tool bucket so I can select the right tool for the right job. My repertoire includes the yellow-handled Garden Bandit ($14.95); a hori-hori knife ($37.95); and a variation on the nejiri gama hoe ($15.95), all available from Territorial Seed Catalogue and some local nurseries. I should add that weeding tools oughtn’t be given as a hint! If you should wish to suggest to another that the garden might be weeded more diligently, I recommend giving the gift of a few hours of professional weeding help. Or, perhaps you may give a gift of your own assistance with weeding – along with a pair of marvelous new weeding tools, one for each of you! While I haven’t used them myself yet, I have heard wonderful things about locally made, hand-forged tools from Red Pig Garden Tools Co. I plan to try them out this year. 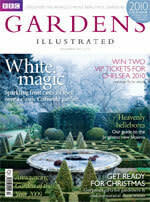 I bet I’m not the only gardener who revels with delight in the latest issue of the exquisitely photographed Gardens Illustrated from England. $75 for a year’s subscription. For a more regional flavor, give a subscription to Pacific Horticulture, a smaller West Coast publication focusing on ornamental gardens and dry-land, Mediterranean landscapes as well as plant groups of interest to West Coast gardeners. $28 for a year’s subscription. I don’t currently subscribe to Organic Gardening Magazine but it does emphasize edible gardening, which would be of great support for a new vegetable gardener. About $24 for two years (12 issues). 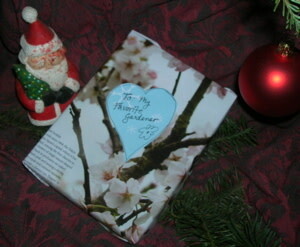 I asked Susan Crittenden, manager at Powell’s Books for Home and Garden for her new book picks for holiday gift giving. 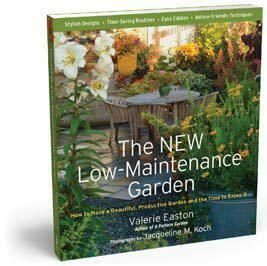 Her recommendations include Valerie Easton’s new book "The New Low Maintenance Garden; How To Make a Beautiful, Productive Garden and Have Time To Enjoy It" (Timber Press, $19.95); John Greenlee’s inspiringly photographed "The American Meadow Garden: Creating a Natural Alternative to the Traditional Lawn" (Timber Press, $34.95); and "The Lives of Trees" by Diana Wells, with cultural, botanical and historic information about 100 fascinating trees (Algonquin, $19.95). Several Portland horticulturists have recently published books with Portland’s own Timber Press: Cistus Design Nursery owner Sean Hogan’s new book "Trees for All Seasons: Broadleaved Evergreens for Temperate Climates" (Timber Press, $39.95) is an essential for local gardeners wishing to learn more about the broadleaf evergreen repertoire. "Black Plants: 75 Striking Choices for the Garden" (Timber Press, $19.95) by Paul Bonine, co-owner of wholesaler Xera Plants, is a fun romp on the "dark" side of horticulture. 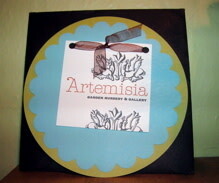 It’s hard to go wrong with a gift certificate for plants! Disarm and tickle a favored friend with a gift certificate for marvelous and extraordinary plants at Cistus Design Nursery on Sauvie Island; Artemisia Garden Nursery and Gallery, with nature-inspired art and equally artfully chosen plants; and for a vegetable garden and orchard aficionado, the Urban Farm Store (they sell everything from organic soil and baby chicks to fertilizers, bird feed and vegetable starts). Strong hand cream isn’t a luxury for gardeners; it’s essential to slather on after a day of digging, particularly if you work without gloves. I like Crabtree & Evelyn’s Gardener’s Hand Therapy Cream with shea butter, $15. For the gardener who already has a plethora of good tools and reading materials, try a good quality bird feeder and a sack of sunflower hearts from the gift shop at The Audubon Society or from The Backyard Bird Shop. (Easy-to-clean, Droll Yankee ring-pull tube feeders run about $30-$50, depending on size and no-mess sunflower hearts cost just under $25 for a 10 pound sack). Birds help keep insect populations under control and are part of the reason some gardeners plant anything at all!